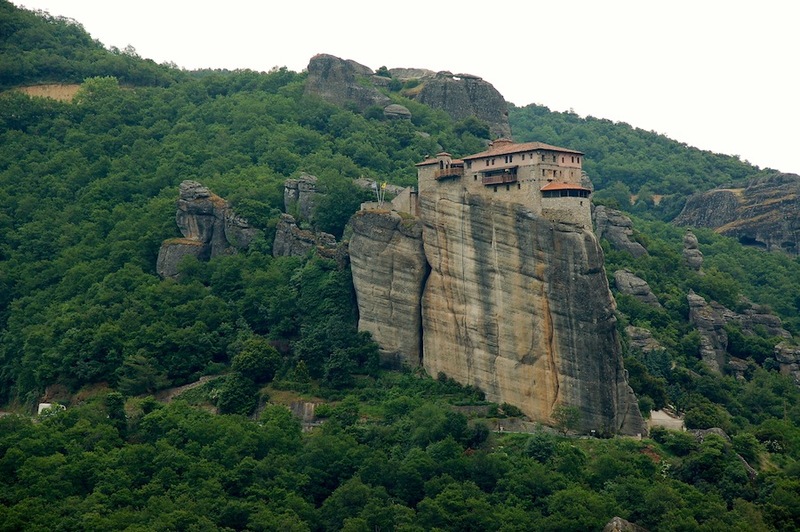 We had the opportunity to spend a day visiting a unique collection of monasteries that are literally built atop mountain peaks. 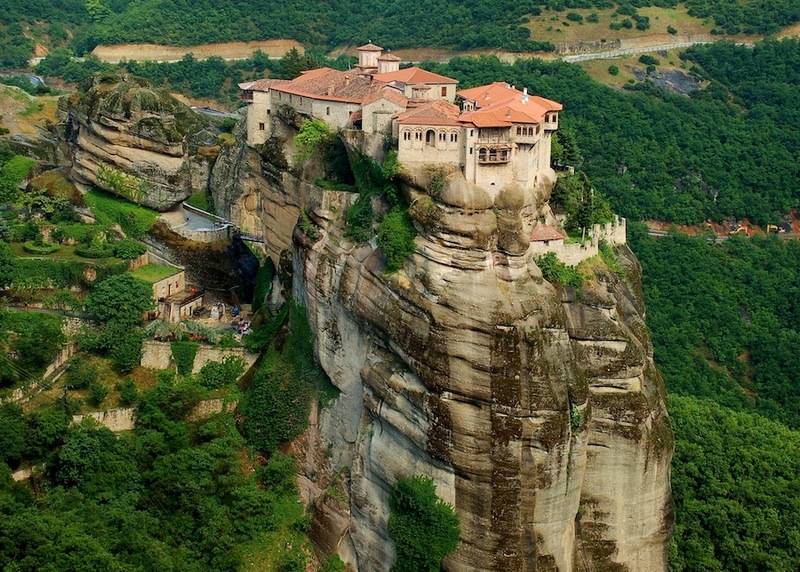 Located in central Greece, the Meteora monasteries are not only suspended in the air, they feel suspended in time. 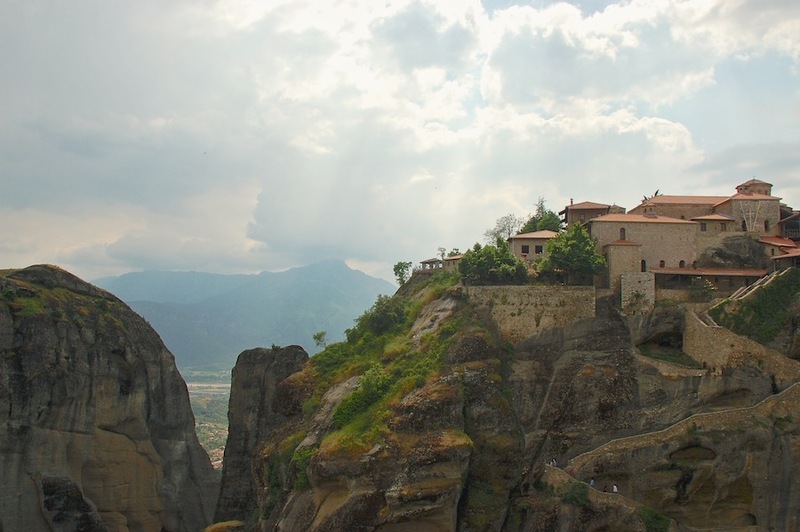 We climbed many, many stairs to reach some of the monasteries, and at the end of the day, our group was able to attend a vespers service at the “Grand Meteora” monastery–a truly holy experience. 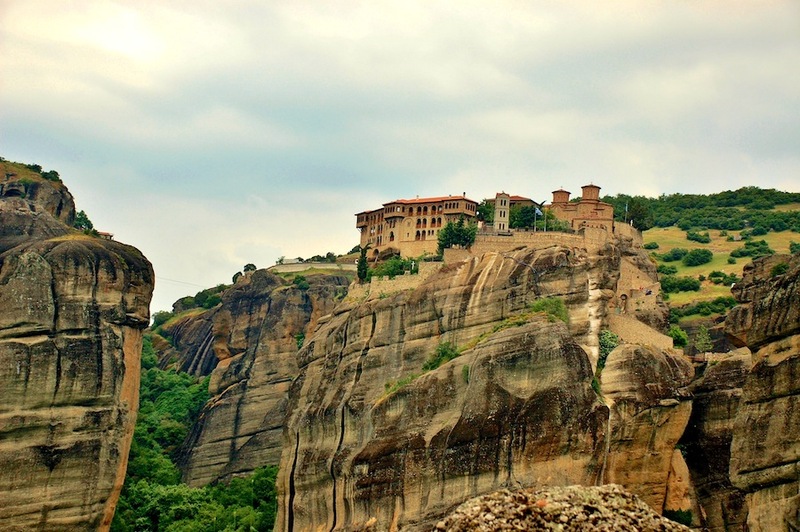 ʹSuspended in the airʹ (the meaning of Meteora in Greek), these monasteries represent a unique artistic achievement and are one of the most powerful examples of the architectural transformation of a site into a place of retreat, meditation and prayer. 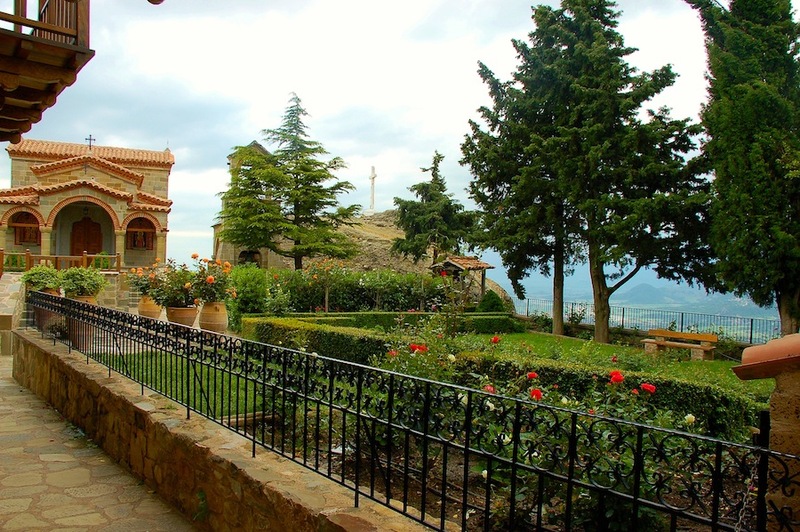 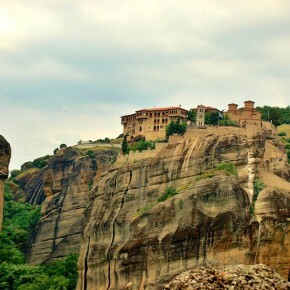 The Meteora provide an outstanding example of the types of monastic construction which illustrate a significant stage in history, that of the 14th and 15th centuries when the eremitic ideals of early Christianity were restored to a place of honor by monastic communities. 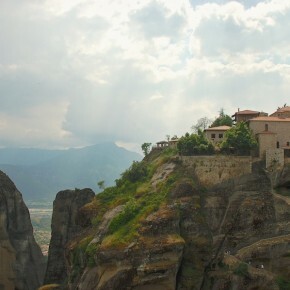 The monasteries are built on rock pinnacles of deltaic origin, known as Meteora, which rise starkly over 400 m above the Peneas valley and the small town of Kalambaka on the Thessalian plain. 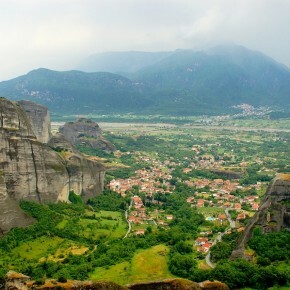 Chemical analysis suggests that the pinnacles were created some 60 million years ago in the Tertiary period, emerging from the cone of a river and further transformed by earthquakes. 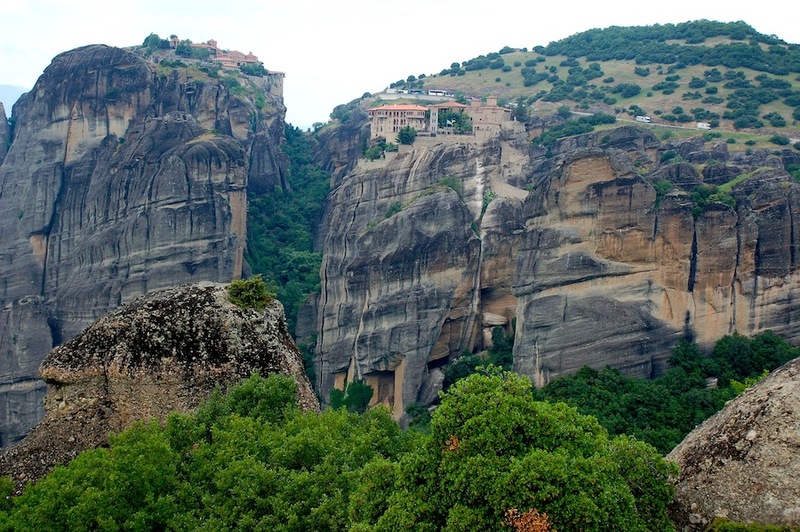 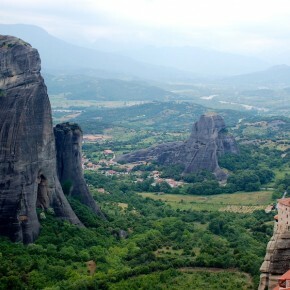 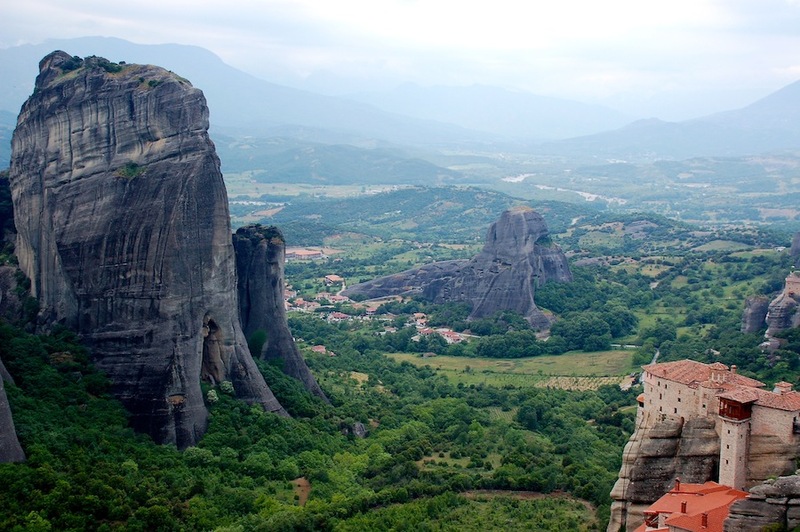 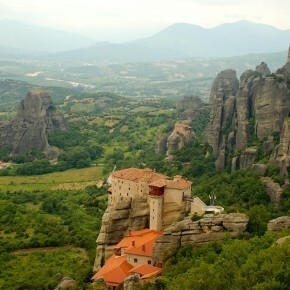 The Meteora are enormous residual masses of sandstone and conglomerate which appeared through fluvial erosion. 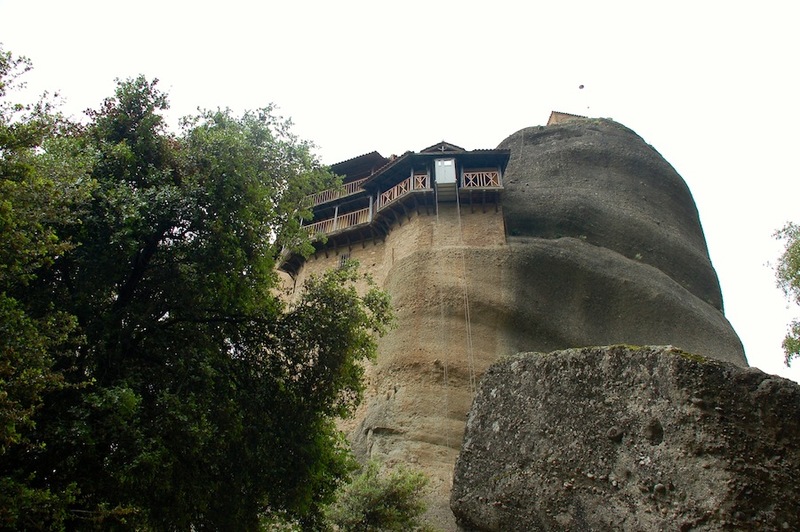 Seismic activity increased the number of fault lines and fissures and hewed the shapeless masses into individual sheer rock columns. 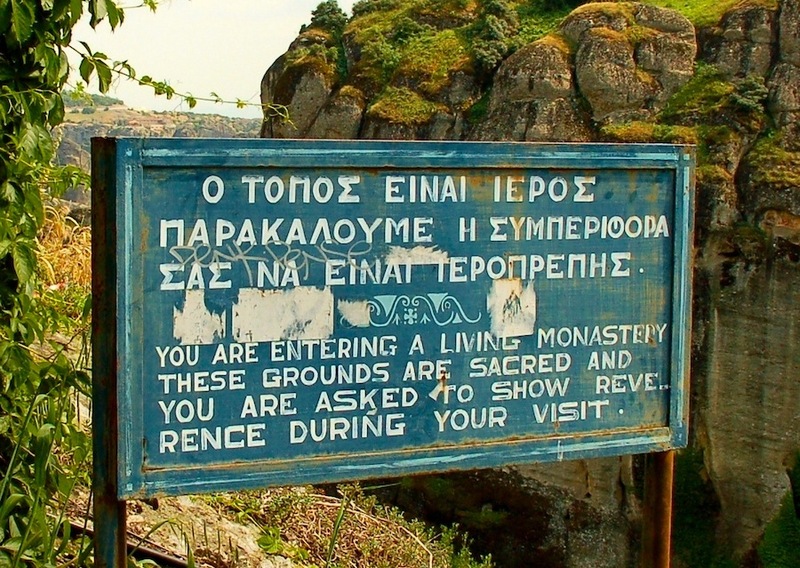 Hermits and ascetics probably began settling in this extraordinary area in the 11th century. 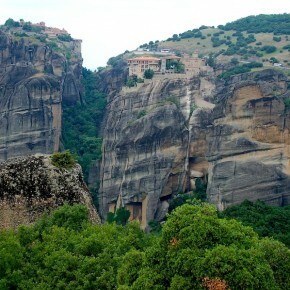 In the late 12th century a small church called the Panaghia Doupiani or Skete was built at the foot of one of these ʹheavenly columnsʹ, where monks had already taken up residence. 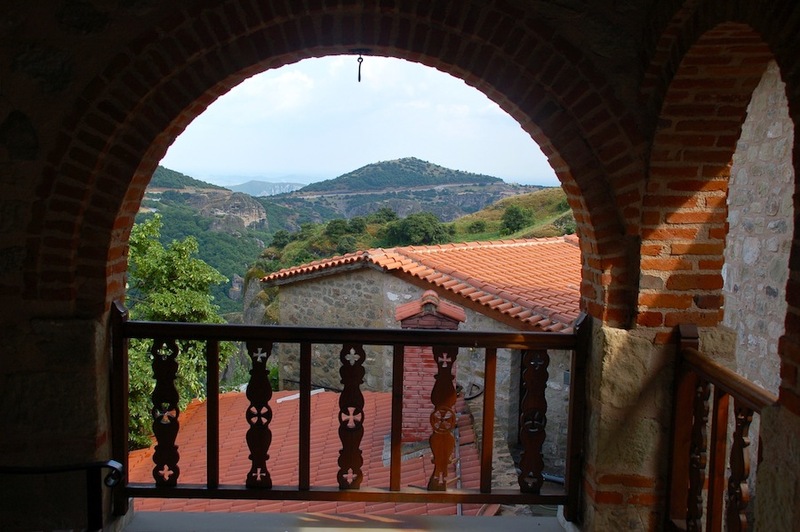 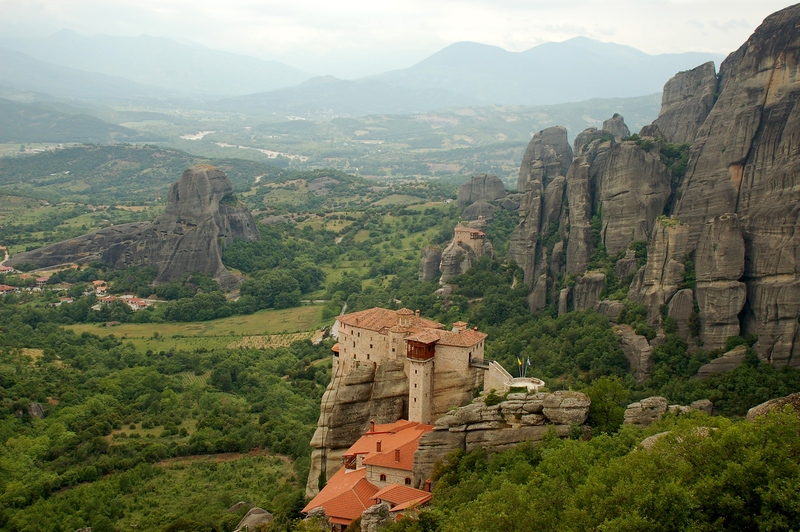 During the fearsome time of political instability in 14th century Thessaly, monasteries were systematically built on top of the inaccessible peaks so that by the end of the 15th century there were 24 of them. 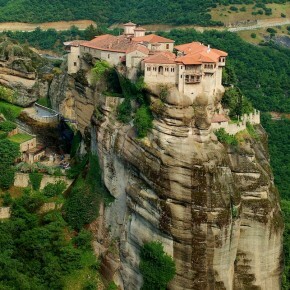 They continued to flourish until the 17th century. 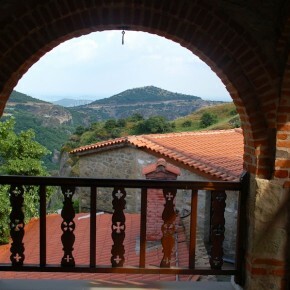 The area includes forested hills and river valley with riverine forests of Platanus orientalis and species such as the endemic Centaurea lactifolia (found near Koniskos village) and Centaurea kalambakensi. 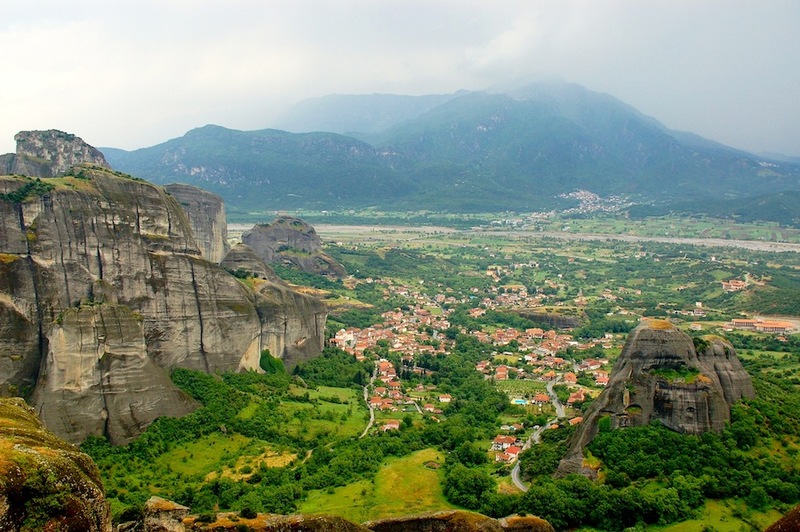 The nearest protected area is Trikala Aesthetic Forest (28 ha), created in 1979, which has been planted with Pinus halepensis and Cupressus sempervivens. The potential vegetation cover is described as supra‐ Mediterranean, with climax cover of Quercus and Ostrya species and Fagus sylvatica beech forest above 700 m.
Today, only four monasteries have monastic communities: St. Stephen, Holy Trinity, Varlaam and Great Meteoron. 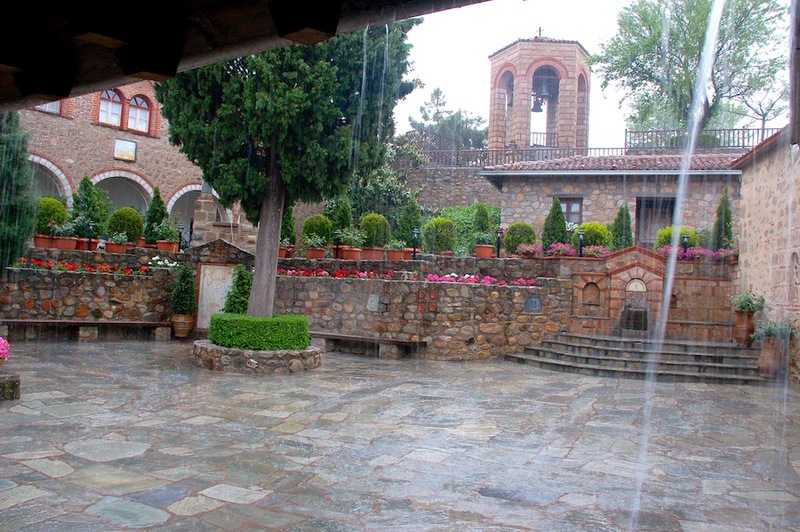 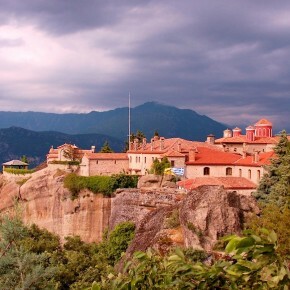 The Holy Monastery of Great Meteoron This is the largest of the monasteries located at Meteora. 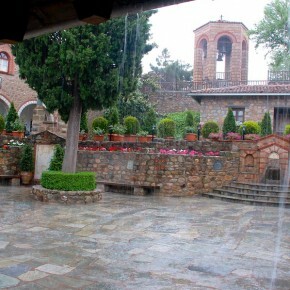 It was erected in the mid‐14th century and was the subject of restoration and embellishment projects in 1483 and 1552. 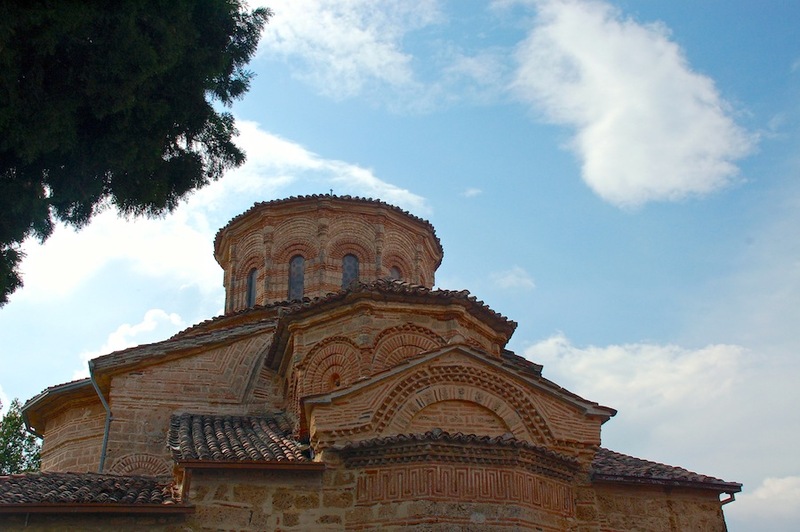 The Katholicon (main church), dedicated to the Transfiguration, was erected in the middle of 14th c. and 1387/88 and decorated in 1483 and 1552. 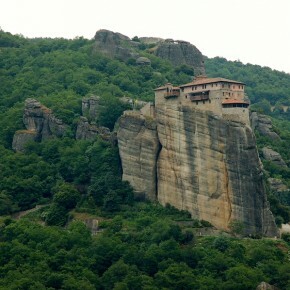 The Holy Monastery of Varlaam It is the second largest monastery in the Metéora complex. 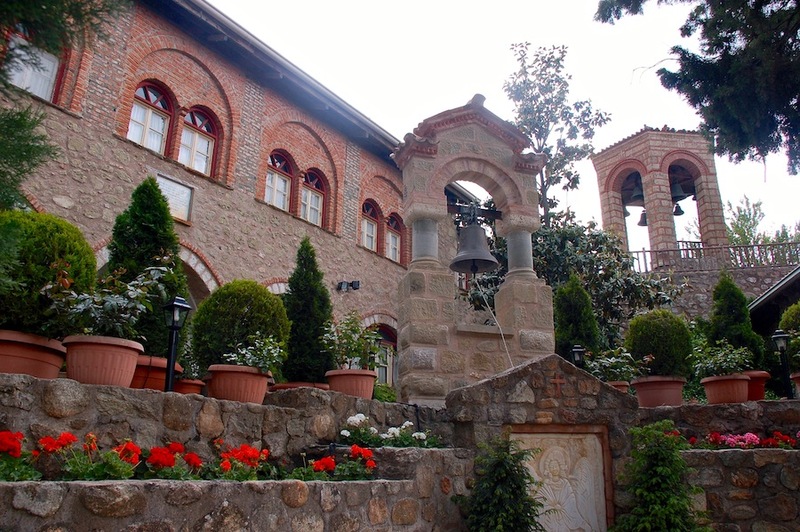 It was built in 1541 and embellished in 1548. 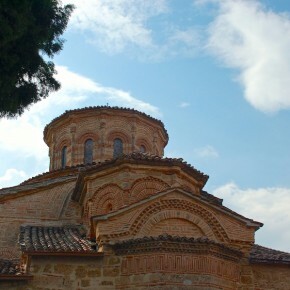 A church, dedicated to All Saints, is in the Athonite type (cross‐in‐square with dome and choirs), with spacious esonarthex (lite) is surrounded by a dome. 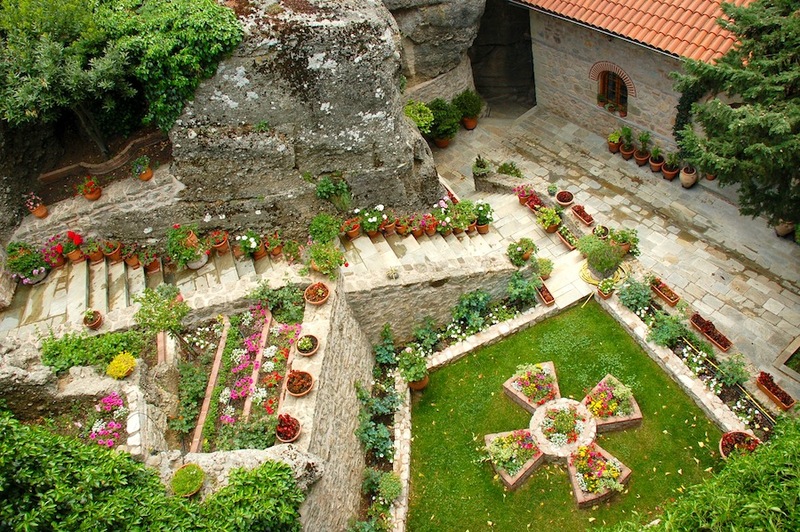 It was built in 1541/42 and decorated in 1548, while the esonarthex was decorated in 1566. 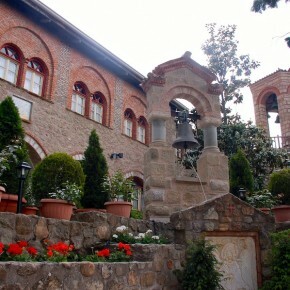 The old refectory is used as a museum while north of the church is the parekklesion of the Three Bishops, built in 1627 and decorated in 1637. 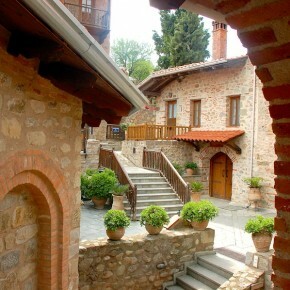 It was founded in the middle of 16th century AD and decorated in 1560. 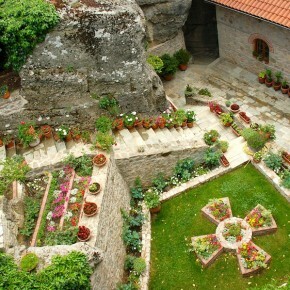 It was built in the 16th century AD, is a small church. 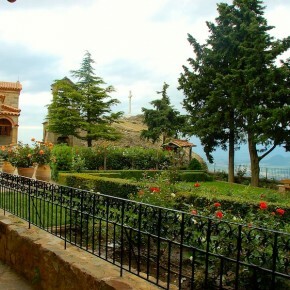 It was decorated by the Cretan painter Theophanis Strelitzas, in 1527. 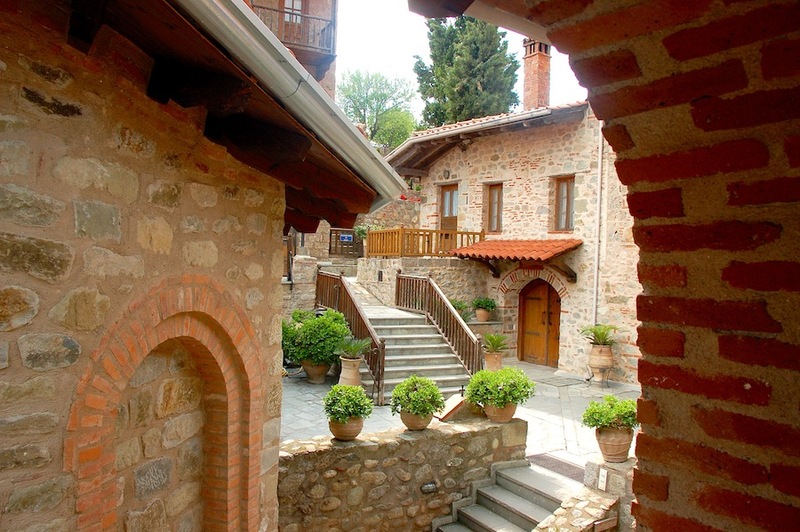 It was built in the 16th century and decorated in 1545. 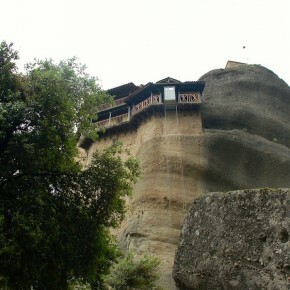 This monastery rests on the plain rather than on a cliff. 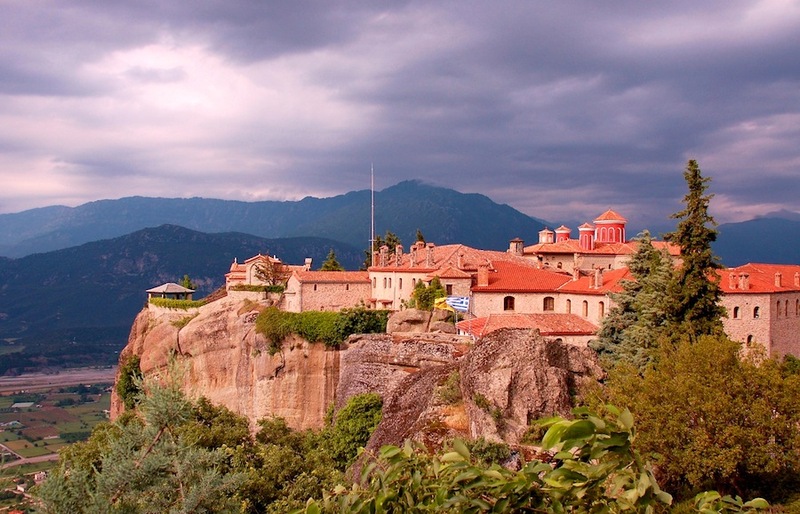 It was damaged by the Nazis during WWII who believed it was harboring insurgents and was abandoned. 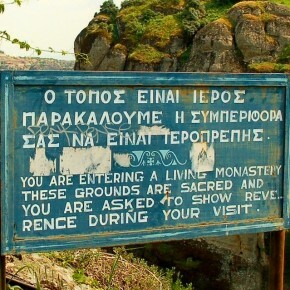 Nuns took it over and reconstructed it.